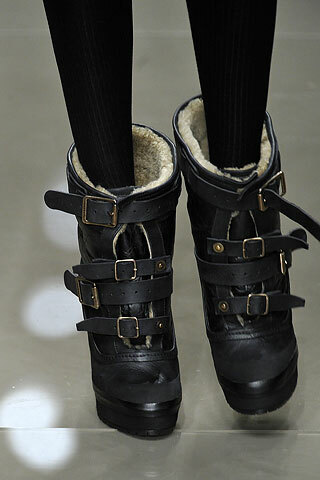 Burberry’s Shearling-Lined Aviator Booties were retailing for a whopping $1095 but they are now sold out. Aren’t they super amazing? Among several similar looking pairs, the Steve Madden Broadwy offers the best style for the price. The lug-sole and multiple straps add a chic utilitarian vibe. Plus, the shearling lining keeps your feet cozy all day long… gotta love toasty tootsies! Grab this luscious black leather pair at Zappos for $149.95 (also available in suede version which is on sale).